Organizations today are flooded with massive, varied documents (e.g. pdf, XML) from many sources. How can a company reap benefits from those documents and turn that into a competitive advantage? Traditional solutions for document management have been running into a dilemma for many years. Is the Big Data trend an opportunity for this purpose? The ongoing effort at Freddie Mac shows that Big Data technology has the potential to be transformative in handling the quantity, speed, spread and value of documents. This presentation will show our Big Data architecture solutions for document management at Freddie Mac. Our solutions start with document storage and retrieval services and solutions. This solution architecture is built on the Hadoop ecosystem. The goal is to move toward Big Data analytics that would provide organizations with insights by demystifying knowledge from massive documents that have not been available before. Dr. Xinhua Deng is a Lead Architect at Freddie Mac Single Family Division. He has demonstrated expertise and experience in defining and delivering large scale enterprise architecture, information architecture, and data management solutions and governance in some of the largest financial companies, including Capital One, Fannie Mae, and Freddie Mac. Prior to his industry adventure, he was a faculty member at the School of Computational Sciences of George Mason University. He has published in peer-reviewed journals and presented at national and international levels. Jeff Huang is the Chief Architect for Freddie Mac Single Family Division. He received his Bachelor's degree in Computer Engineering from the National Chiao Tung University in Taiwan and his Master's degree in Computer Science from Syracuse University in New York. 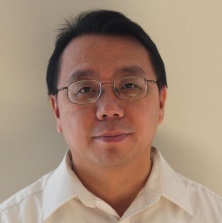 Mr. Huang has more than 20 years of experience in Information Technology. He has held many positions in many IT departments, including development, research, architecture, engineering and information security. He is currently the Chief Architect for the Single Family Division at Freddie Mac. Under his supervision, a group of architects provides solutions for delivering business capabilities toward the Freddie Mac strategic objectives.